This exclusive package combines two of our favorite boutique hotels in unique, less-traveled destinations. 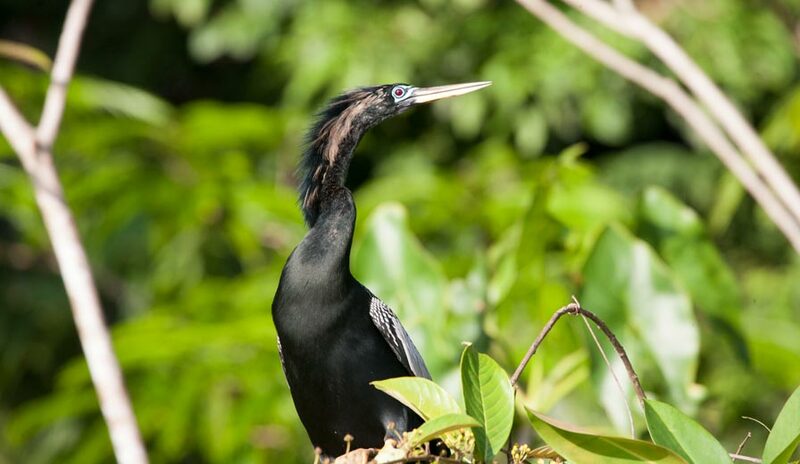 First, you’ll visit the eco-luxury Rio Celeste Hideaway. Named for the mesmerizing blue river and waterfall that is steps from the property, the hotel is located 5 minutes from the Tenorio Volcano National Park. This jungle mountain setting is simply spectacular. Hiking, rafting and bird watching are among the more popular activities available. 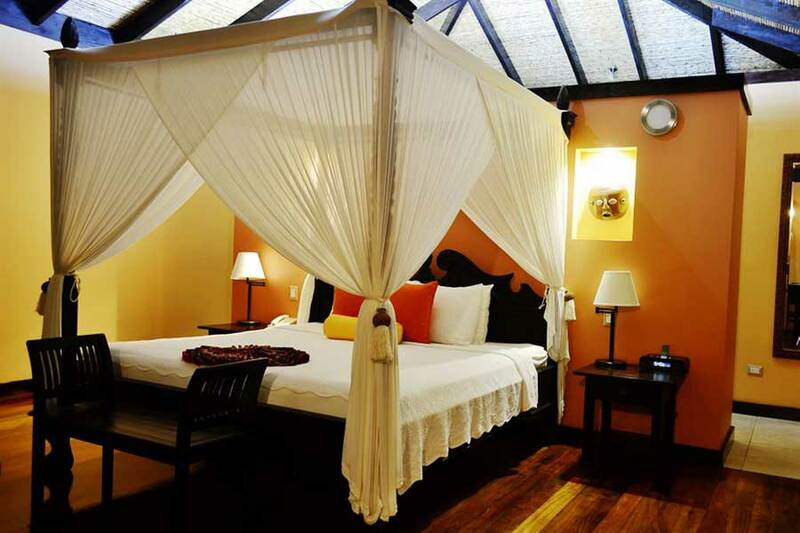 The second part of your journey puts you at the boutique Hotel El Mangroove located just 20 minutes from the Liberia international airport, this hotel is a luxury boutique resort, located right on Playa Panama overlooking Papagayo Bay. 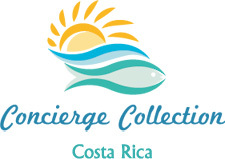 El Mangroove has a small hotel feel, great design, impeccable service, numerous amenities, and access to a tranquil beach-making it perfect choice for couples. Click here for details and date availability for this Collection. Along the foothills of the Tenorio Volcano in Costa Rica’s northern highlands, the Rio Celeste Hideaway is the ideal choice for those looking for a secluded intimate boutique experience in Costa Rica, that’s off the beaten tourist path. Rio Celeste itself is one of Costa Rica’s most beautiful natural wonders where volcanic chemical reactions cause the waters to glow a vibrant sky-blue color. 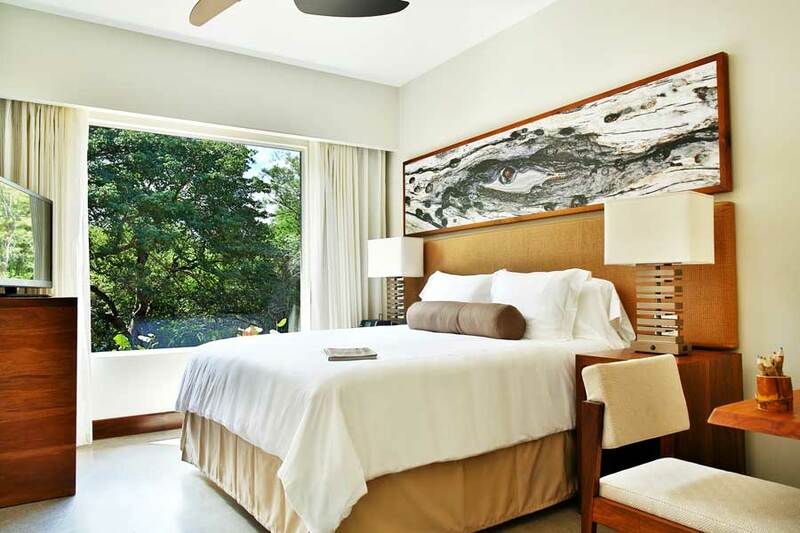 Rio Celeste Hideaway sits on over 150 acres of tropical forest, scenic waterfalls and nature trails to explore. The hotel is comprised of 26 private casitas (bungalows), each elegantly designed with tropical colors and Balinese hardwood furnishings. All rooms have A/C, Cable TV, hairdryer, safe, mini bar, coffee maker, indoor/ outdoor shower, and intimate jacuzzi. Hotel amenities include complimentary Wi-Fi in the lobby and restaurant. Guests can also enjoy the hotel’s large swimming pool and small surrounding jacuzzis. The resort has 85 suites in two-story casitas which are neatly placed around the mangrove and hidden with lush plants. All rooms include an indoor/outdoor living space and also feature high-end amenities like 42i plasma TV, A/ C, walk-in closet, minibar, iPod docking station, hairdryer, iron and complimentary Wi-Fi. El Mangroove offers a great variety of gastronomy options, relax with your feet in the sand at the casual Matiss beach bar, this is a great beachfront lunch spot set beneath palapas which offers small plates and fresh salads. Makoko has a fine indoor-outdoor dining area with diverse a-la-carte menu for every breakfast, lunch or dinner. The best part of enjoying your stay at El Mangroove is to take a sunset boat trip. This wonderful two-hour experience is the best way to appreciate the bays and inlets of Peninsula Papagayo at dusk. This tour includes wine and beer, with cheese and fruit plate for the perfect end of the day in paradise. 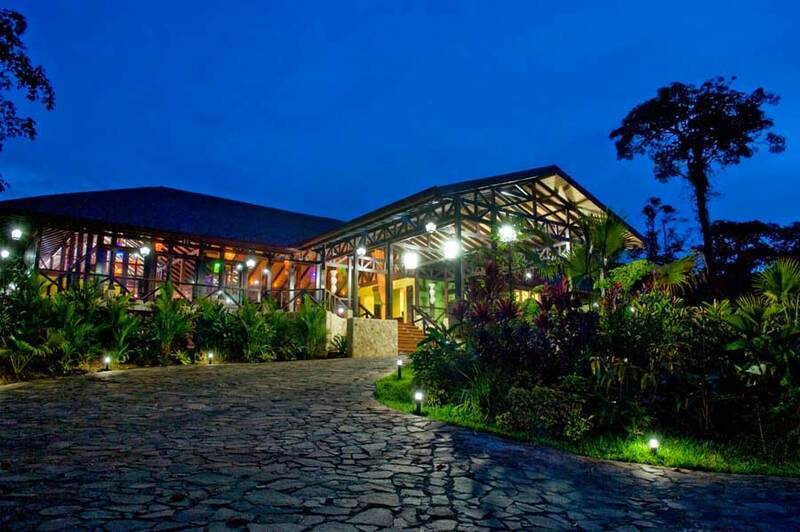 Arrive at the Liberia airport where one of our representatives will meet you and show you to your private transfer and another 1.5 hour drive you’ll be at the Rio Celeste Hideaway hotel. 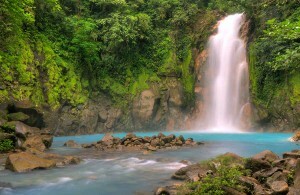 Enjoy your time at Rio Celeste. Area activities include hiking the private trails next to Celeste River, and on-site bird watching. You can visit the Tenorio Volcano National Park and see stunning, celestial blue waterfall and learn how this natural phenomenon occurs. Stay at Rio Celeste Hideaway hotel. Take a private two hour transfer to El Mangroove Hotel. 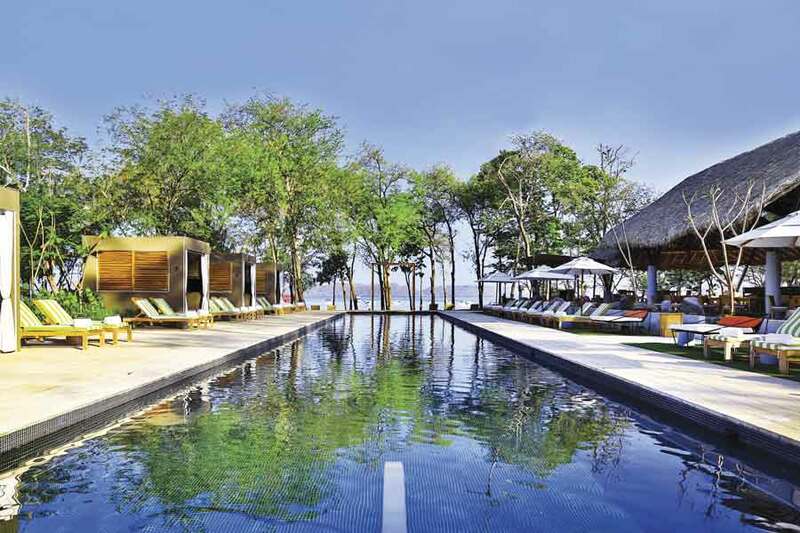 Where man and mangrove meet with groovy inspiration, El Mangroove brings a new stature of “hot and hip” to a Costa Rica luxury hotel in Guanacaste. 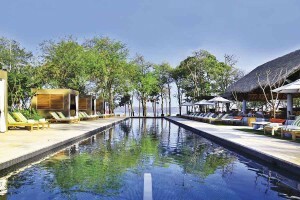 Located in Bahia Papagayo. It’s time to relax A $50 credit to use at the Bearth Spa is included as part of the package. Stay at El Mangroove Hotel. Enjoy the El Mangroove picture your day that starts with coffee on your private terrace’s hammock, with a book in hand and the sound of quiet relaxation. Head to the spa. Recover, relax and reflect in specially designed scenery that allows you to be reborn. The serene atmosphere soothes the spirit and embraces natural treatments. Put that bikini on and get on with your groove as you let the pool tunes guide you towards the beach. Stay at El Mangroove Hotel. Transfer just 20 minutes to the Liberia airport to await your flight home.